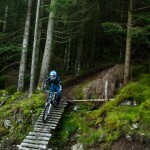 Yo, I’ve just moved to Jørpeland from the uk and am looking for trails to ride my bike around, I’ve heard and seen, but not ridden the trail up in Bjørheimsbygd(looks awesome) yet. Do you or anyone know of good trails around the area? The type of riding i do is off-road, a bit of up with lots of down and a big emphasis on FUN! 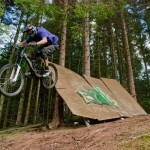 Bike is a Commencal Meta 6 w/ fox 36’s so i like the big stuff! Hi Ben. 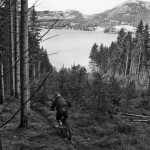 I don’t know of any good trails outside the DH track, but I’m sure they exist. Send an email to msoyland@gmail.com, and I’m sure he’ll help you out. Good luck! maa komma inn aa sykla igjen ein gang foer sesongen e oeve! Kan ikke sykle på en god stund. Har betent albue. Kommer kanskje i høst!